Last week I got a phone call from Ted “Ferret Fotographics” Walker asking if I’d like to accompany him on a 300 mile round trip to Bourne, Lincs and back to visit Hall & Hall where he had some cars to inspect. I accepted on the basis that this might be an interesting window shopping trip, and as you shall see below it was close to the ultimate Christmas window shopping trip for petrol heads and race fans. Among the cars I was kindly allowed to photograph was the Donington Collection’s 1952 Gullwing Mercedes 300 SL complete with experimental roof mounted wing that was around 15 years ahead of it’s time, this car was tried in practice, but not raced, for the 1952 Le Mans 24 Hours. 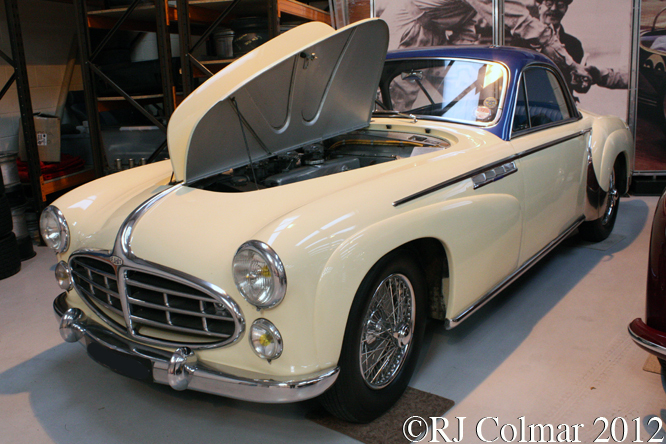 Moving chronologically on this 1953 Delahaye 235 Coupé with a standardised Chapron body at a price when new of FF3,800,000 cost twice as much as the much faster contemporary Jaguar XK120. 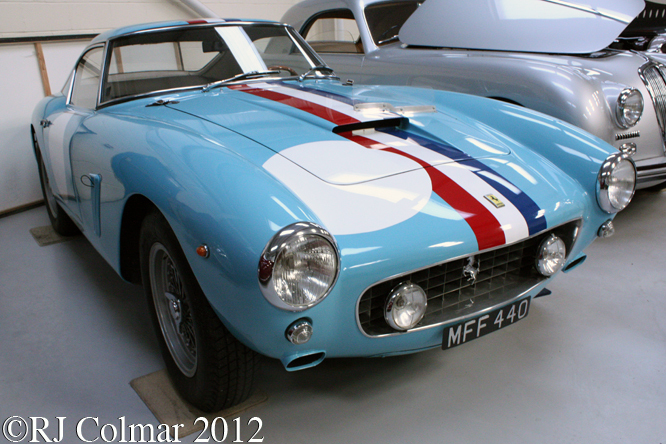 Pierre Dumay and Jo Schlesser drove this Ferrari 250 GT SWB, chassis #2127, to a second place finish overall in the 1960 Tour de France, it’s last known in period race was in the 1964 6h Dakar race in which “Cicoira” drove it to a 3rd place finish. 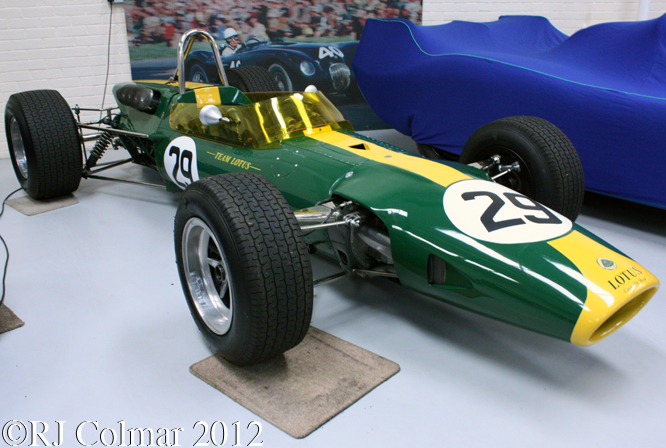 Unknown to all but a select few at Ford, Cosworth and Lotus the Lotus 48 was powered by a sign of things to come. The 48 was campaigned successfully in Formula Two and Jackie Oliver drove one to a fifth place finish in the 1967 German Grand Prix against cars with engines nearly twice the size and around a third more horsepower. The Cosworth FVA motor, which dominated Formula 2 from 1966 to 1972, has a four valve head, that was developed as part of Ford’s contract with Cosworth that would give birth to the Ford Cosworth DFV. The DFV in turn dominated the top tier of motor sport from 1969 until 1983 during which time the DFV motors powered 11 Drivers championship winners interrupted on three occasions only by Ferrari. This is one of several cars currently for sale on the Hall & Hall website linked here. The 1967 270 hp V8 powered Alfa Romeo T33 ‘Periscope’ was first used in competition by Belgian Teodro Zeccolini in his home country for a hill climb event at Fleron which he promptly won. 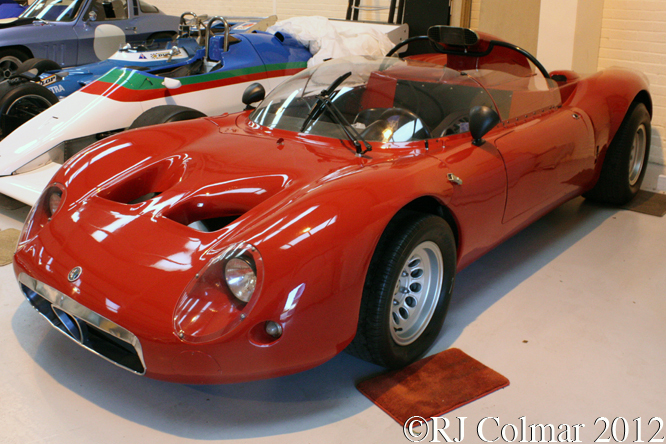 By 1975 a flat 12 version of the T33 had been developed that won the Sports Car World Championships in 1975 and 1977. 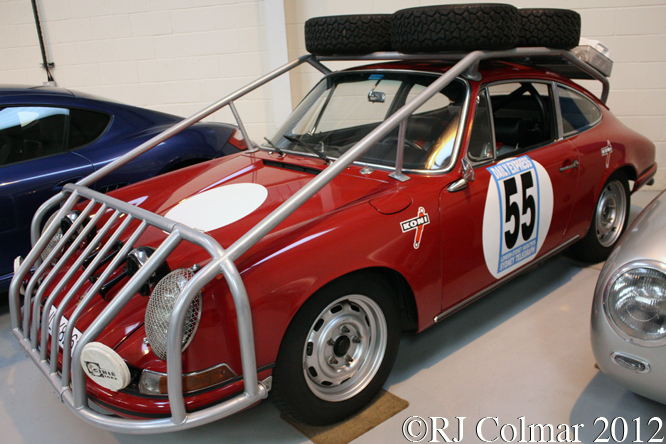 German born Kenyan Edgar Hermann bought this Porsche 911T early in 1967 in preparation for an attempt on the 1968 East African Safari rally but when the 1968 London to Sydney Marathon was announced he returned it to the factory to be prepared for the longer event in which he finished 15th. 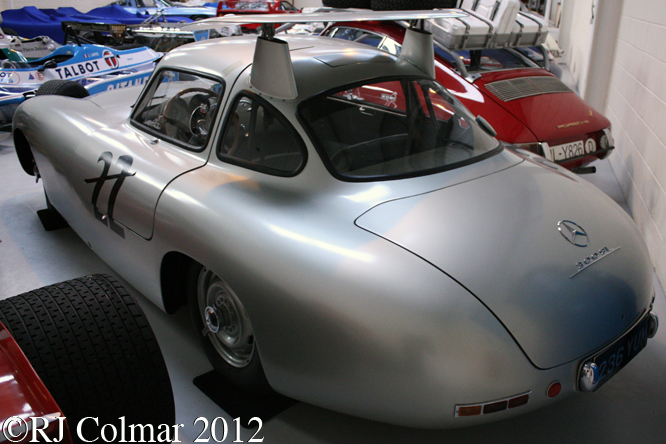 Hermann sold the car to Australian Porsche importer Alan Hamilton who converted it to RHD and drove in Australian Rally events until 1970. In 1987 this 911 had a second wind and was driven to a Class C championship win in the Australian Porsche Cup. From 1969 was one of Jackie Stewarts World Drivers and World Constructors Championship winning Matra MS 80s, powered by a Ford Cosworth DFV as heralded by the Cosworth FVA. 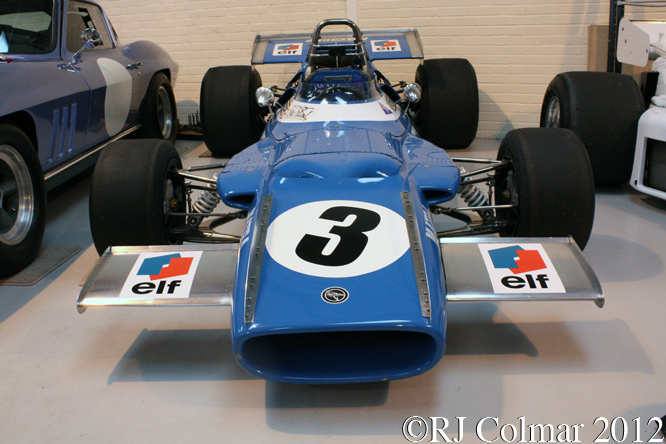 Team owner Ken Tyrrell managed to do deals with Matra to use their chassis, and at Stewarts insistence Ford to use the Ford Cosworth DFV for the 1968 and 1969 seasons. 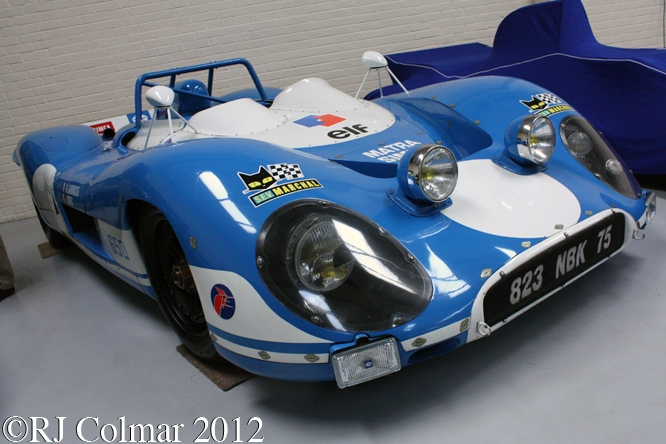 These deals were remarkable because Matra were trying to develop their own V12 for Formula One at the time. 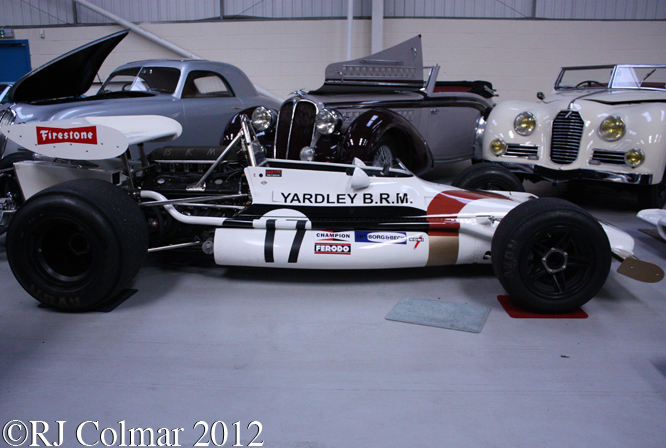 While I was window shopping two V12 powered cars from 1970 took my fancy the first was this BRM P153 chassis #3 according to the Hall & Hall website, these cars were the first of three race winning designs by Tony Southgate, Pedro Rodriguez drove a car like this to victory at the 1970 Belgian Grand Prix at Spa at an average speed of 149.9 mph. Chassis #03 was driven by George Eaton in 1970 who’s best performance was a 9th place finish in the Canadian Grand Prix, Howden Ganley drove the car in 1971, his seasons best result 4th in the non Championship Spring Trophy at Oulton Park . Sweden’s Reine Wisell and Spains Alex Soler-Roig both qualified the car for a race each in 1972 but neither finished which left Austria’s Dr Helmut Marko to drive for the last time in the 1972 Monaco Grand Prix where he finished 8th. According to the best sources I have the 1970 V12 Matra MS650 chassis #02 above has been used in just 6 events, unsurprisingly most of those who drove the car are French the three exceptions being Dan Gurney, who shared the it with Francois Cevert to record a 12th place finish in the 1970 Sebring 12 hours, Jack Brabham who shared the car with Cevert and retired from the 1970 Le Mans 24 hours and Algerian Bernard Fiorentino who shared the car with Maurice Grélin when it failed to finish the 1971 Tour de France. Chassis #02 was shared by Henri Pescarolo, Jean-Pierre Jabouille and Johnny Rives for the cars career best 2nd place finish, behind the sister car driven by Jean-Pierre Beltoise, Patrick Depailler and Jean Todt, on the 1970 Tour de France carrying the registration 197WS75 as seen above. 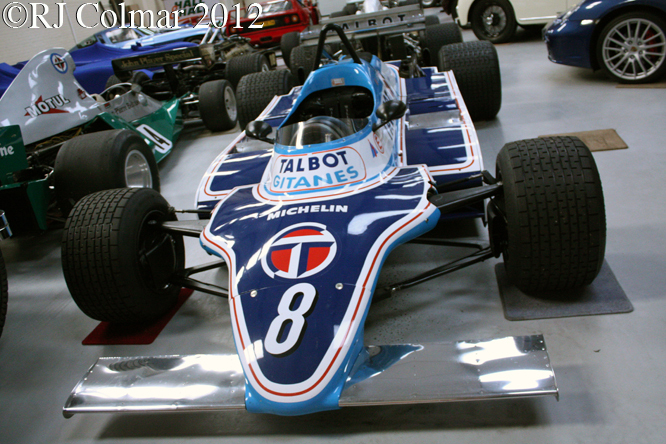 Finally there were two 1981 cars which grabbed my attention, first this Ligier JS17, powered by a fabulous sounding Matra V12, not sure which of the 5 JS 17’s built this is but Jacques Laffite drove the type to victory in the 1981 Austrian and Canadian Grand Prix which gave Laffite an outside chance of wining the title going into the final race of the season held in the car park at Caesers Palace. A 6th place finish meant Jacques secured his third consecutive career best 4th place in the championship. 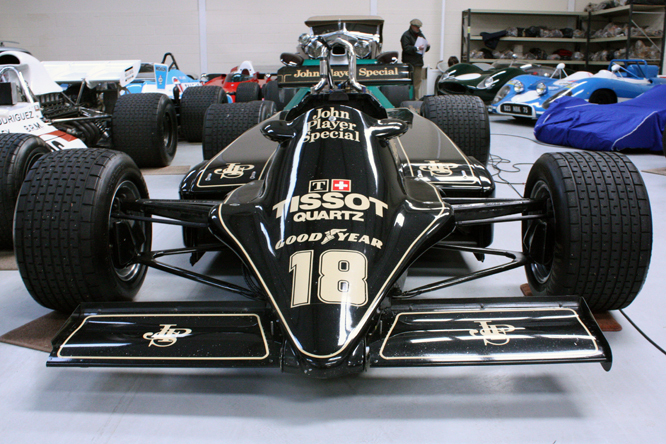 I’ll be publishing a full blog about the Cosworth DFV powered Lotus 87 on 29th of December, the car seen here is chassis #87/R4, also currently offered for sale, was driven in 1981 by Nigel Mansell. Like many cars of this era it is probably more reliable now than it was in period . I’ll save the best car in the building as a surprise, it was a prototype Friday car and it was a dream come true to see it in person. 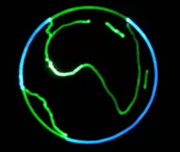 Don’t forget to tune in this Friday to find out what it was. My thanks to Ted Walker for inviting me to join him on his trip to Hall & Hall and to Rick Hall for letting me take photographs of some of the vehicles in his care. Wishing Abba Kogan, whom I believe owns some of the vehicles seen in these photographs, a swift recovery from his injuries, sustained in the Baku City Challenge, Azerbaijan recently. Thanks for joining me on this “Christmas Window Shopping” edition of “Gettin’ a li’l psycho on tyres” I hope you will join me again tomorrow. Don’t forget to come back now ! This entry was posted in Uncategorized and tagged Abba, ALFA Romeo, Bourne, BRM, Cars, Colmar, Concours d'Elegance, Delahay, Ferrari, Ferret Fotographics, Fomula, GALPOT, Hall, Hall & Hall, Kogan, Ligier, Lincs, Lotus, Matra, Mercedes Benz, One, Open, Porsche, Racing, Rally, Ralph, Sports, Two, Walker, Wheel on December 4, 2017 by Ralph.